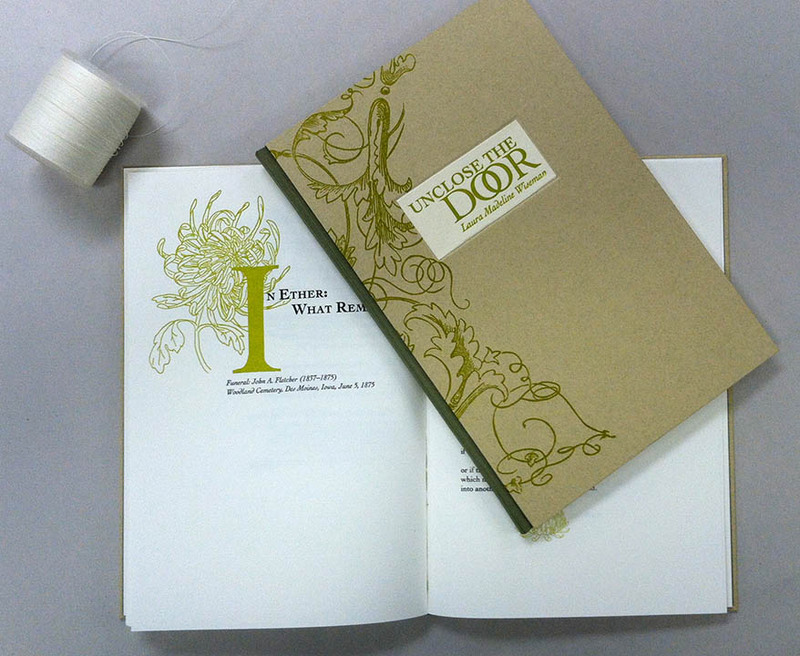 A book of poems by Laura Madeline Wiseman, copyright 2012, designed, printed, and hand bound by students in the the Book Arts program at Bradley University Department of Art, under the direction of Professor Robert Rowe; published by the Gold Quoin Press, in a limited edition of 100 signed and numbered copies. 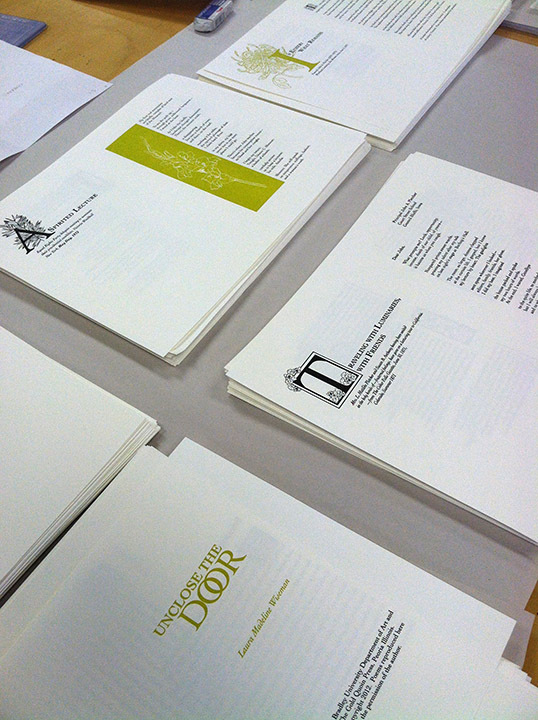 The edition was printed on a Vandercook SP-15 and Universal One press, 40 copies on Mohawk Superfine and 60 on Somerset Book Wove paper. The cycle of poems follows the life and career of 19th century Illinois suffragette Matilda Fletcher. Books are available at Goldquoinpress.com for $75. 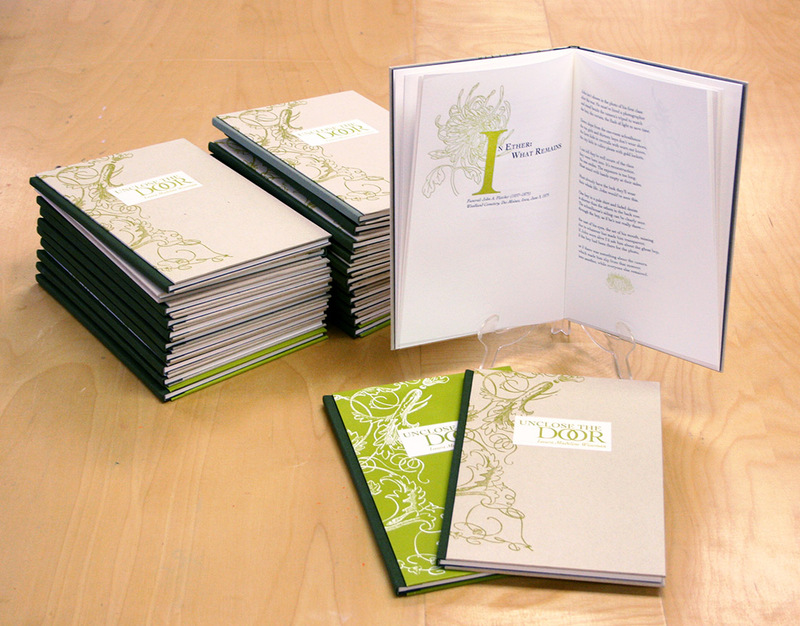 The book is bound using a modified simplified binding with a cloth spine and printed Nideggen paper-covered boards.